Honda is one of the most popular automakers available to buyers today because they offer drivers a reliable, easy to drive, and modern selection of cars. One of the most impressive models in the Honda line-up is the Honda Ridgeline which gives buyers the added capability of a truck while not compromising the comfort and drivability that you expect with a Honda. The Honda Ridgeline was first introduced to the market in 2006 as Honda's entry into the small-truck segment. Marketed as a SUT (Sports Utility Truck), the Honda Ridgeline is one of the most well-rounded models on the market. The most recent Honda Ridgeline has given buyers a modern design both inside and out, advanced driver assist technology, and utility that makes this truck great for a variety of adventures. One of the most innovative features of the Honda Ridgeline is the truck bed speakers, an industry features, that will allow you to make yardwork, tailgating, or camping even more exciting! This alone will make a Honda Ridgeline special, but when you also consider that the bed features a 150W/400W Truck-Bed Outlet and you will have a place to plug in power tools, a TV for tailgating, or your phones and other accessories and the Honda Ridgeline is something even more than you could expect. As special as the exterior of the Honda Ridgeline is, the interior cabin of the Honda Ridgeline is something completely special. The availability of soft leather seating, a premium seven-speaker audio system, heated front seats, a heated steering wheel, tri-zone climate controls, and memory settings for the driver! Plus, with the availability of safety features like Collision Mitigation Braking System™, Road Departure Mitigation System, Adaptive Cruise Control, Lake Keeping Assist System, blind spot monitoring, and Honda LaneWatch™ makes this truck special. 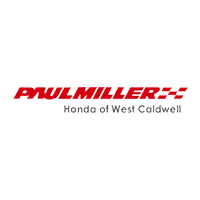 When you are looking for a new Honda Ridgeline the best place to shop for you next car is at Paul Miller Honda of West Caldwell in West Caldwell, NJ where drivers in West Caldwell, Parsippany-Troy Hills, Wayne, Montclair, and Livington, NJ can enjoy our dealership. Come on over today and see the difference our dealership offers. See you soon!